It's been a little less than 8 months that we have our little baby star sleeping in the same room with us. It won't be long until he'll have his own room as we are all patiently waiting to move to our new apartment next month (more on this on following posts ;). 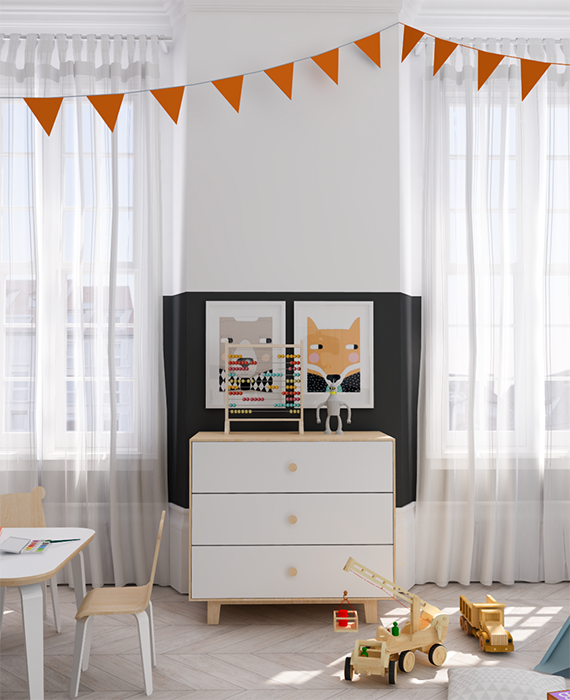 For that matter I have already started daydreaming about his new room; the furniture, the colors, the accessories. 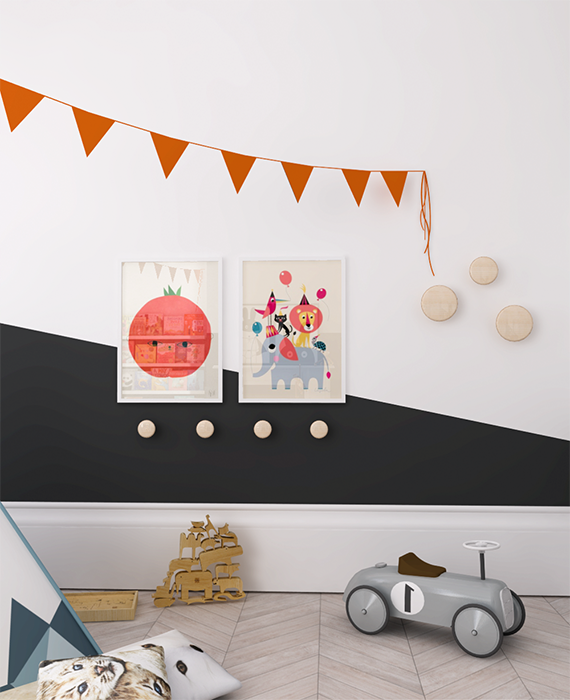 Time could not have been better to be contacted by Houseology for the launch of their new kids collection. Oh, my. 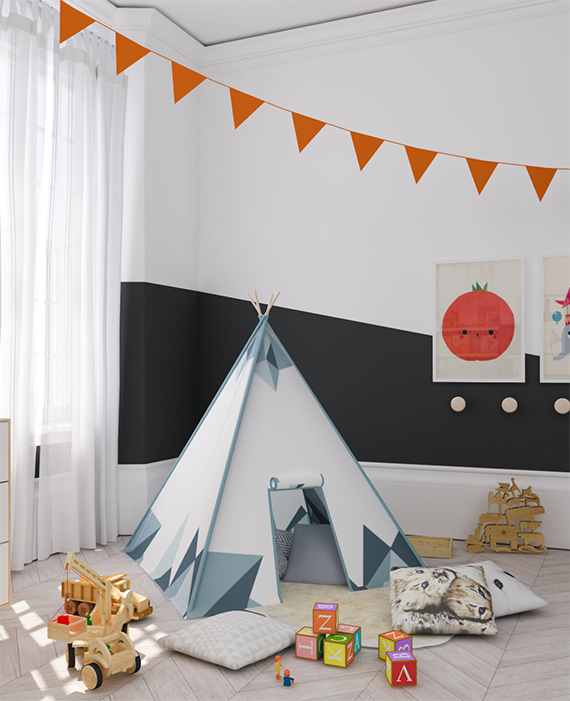 Too many pretty items to pick from and literally too easy to put together a favorite space for my baby boy. I have been cheating a little, to tell you the truth, as the room you are about to see is a fictional one and has little to do with our extra petite space in our new apartment. A girl has to dream, right? Follow me after the jump, for the room tour plus an extra special giveaway! 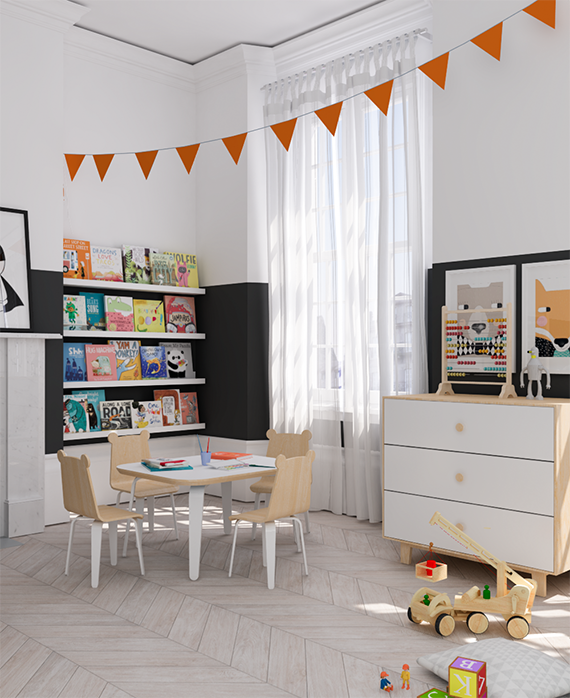 The Oeuf play table and chairs were my first option to put in the room. Look like an adult set but the tiny dimensions and the cutest bear ears on the chairs tell otherwise. 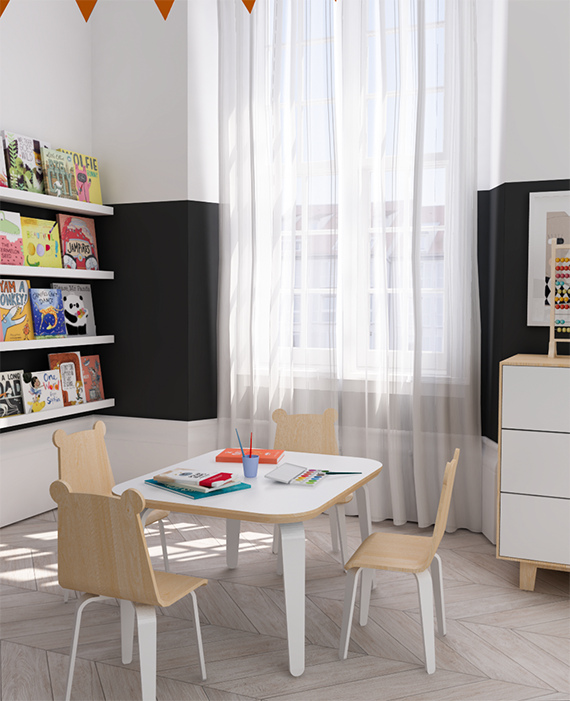 Display shelves hold the kid books together while add color and a happy vibe to the room. I placed them considerably low so that they can be easily accessible by a toddler. A wigwam tent has been a dream of mine since I were a kid. How could I not place one in my son's room? This one is super cute and stylish at the same time and with all the throw pillows and sheepskin gets cushy and cozy for long hours of play. 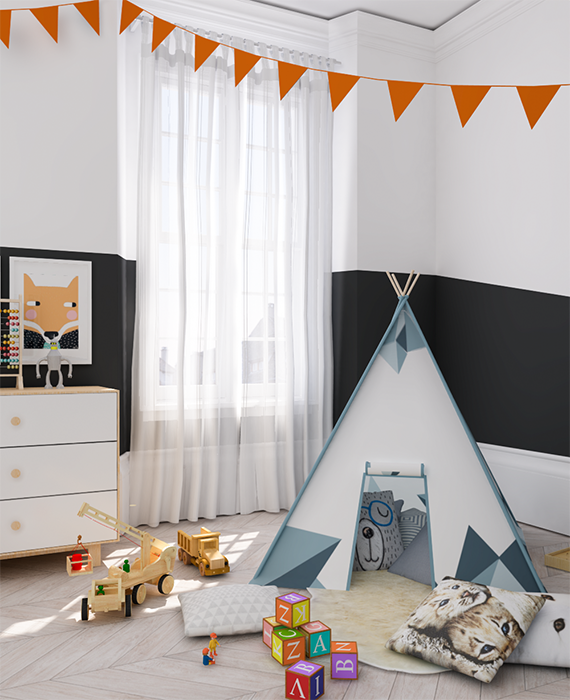 BONUS: If you also love to have this wigwam for your kids, scroll down to the end of this post for a chance to win one! 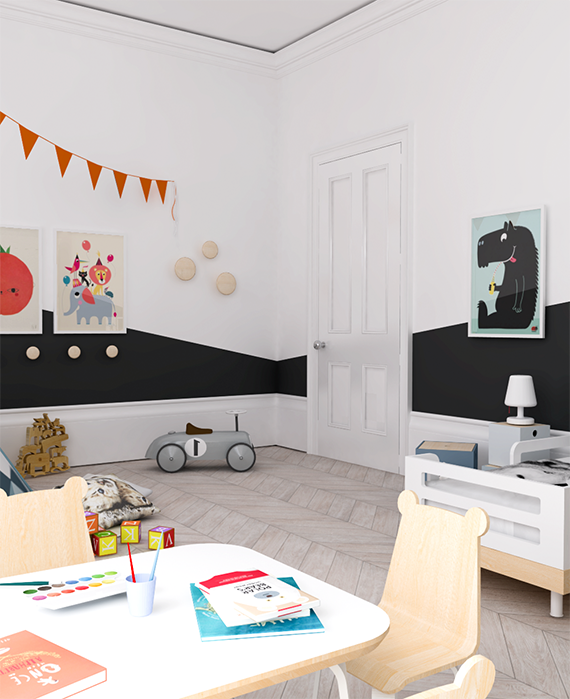 The black strip on the wall that circles the room is chalkboard paint to give the kid endless freedom to try out its graffiti skills on a cleanable surface (win-win). 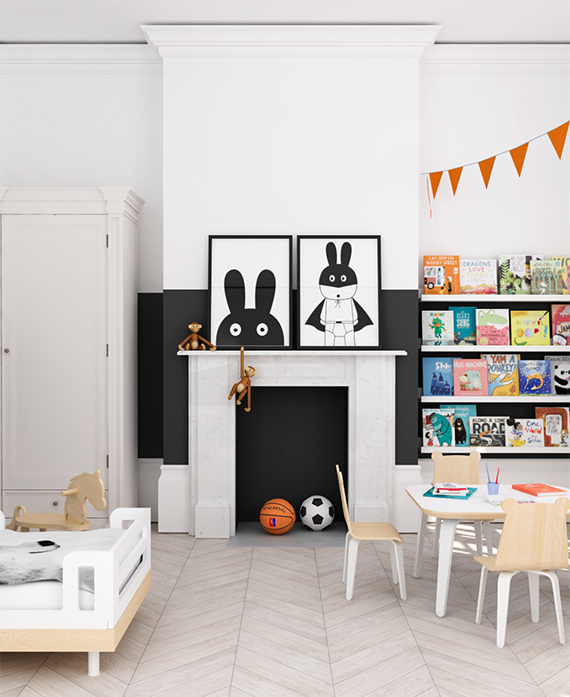 On that matter, I really love how the black hue enhances the bold colors of the toys and accents in a kids room. I had no second thoughts on picking the bed. This iconic one by Oeuf is a long time favorite of mine. The blue boxes double up as side table and extra storage for toys and stuff. 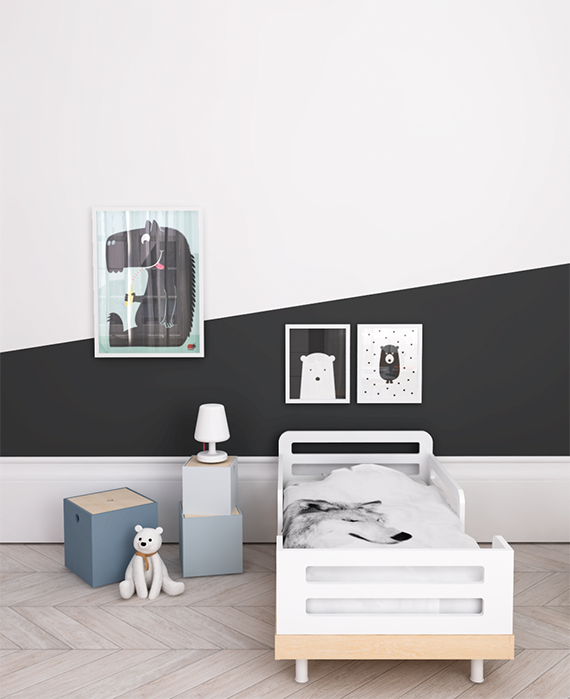 The wolf bed linen by By Nord are so sophisticated and add a desirable scandinavian note to the space. 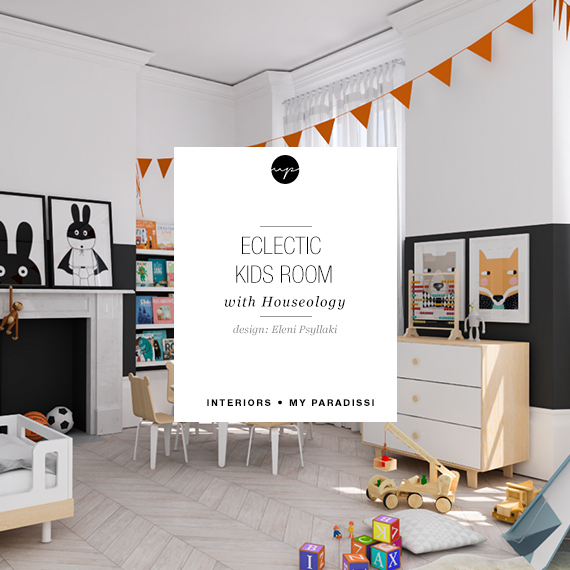 5 comments on "Eclectic kids room design + a giveaway"
Love this, Eleni! Playful and modern and yet delicate! 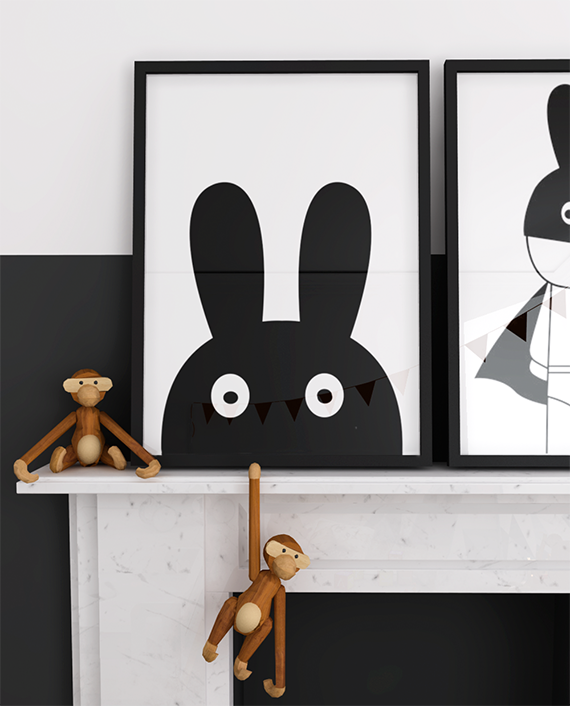 Where did you find the art prints?